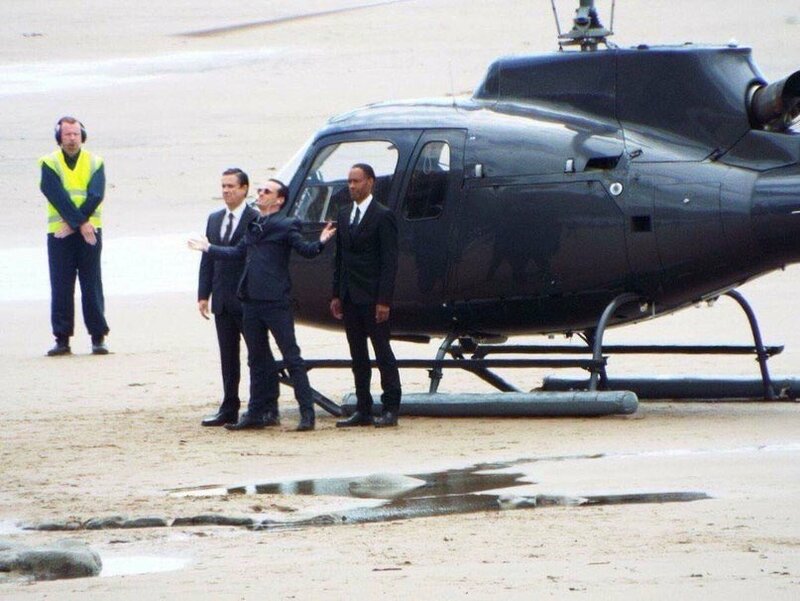 As work on the final episode of Sherlock Series Four begins, photos that fans have snapped from filming have arrived online – and they reveal a character we did not expect to see back. Be warned, this is a humongous spoiler so you may regret finding it out. 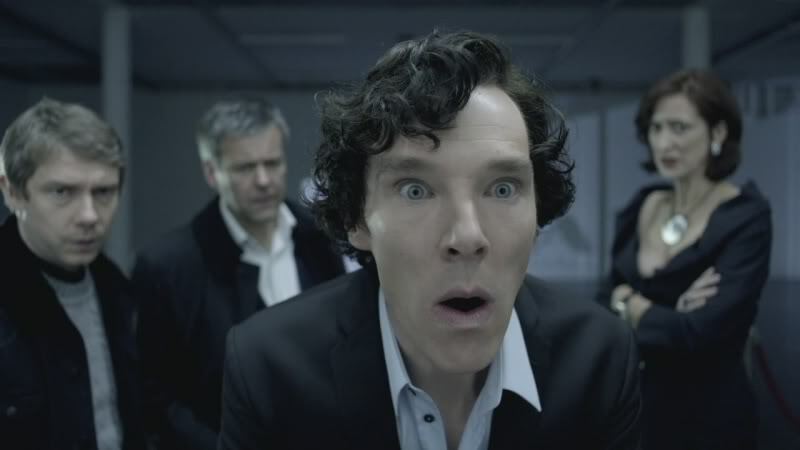 If you do want to know, however, just scroll past the GIF of Sherlock and John judging you. The surprise returning character is… Moriarty! We’re not making this up – look at the image below. He does love to make an entrance, doesn’t he? 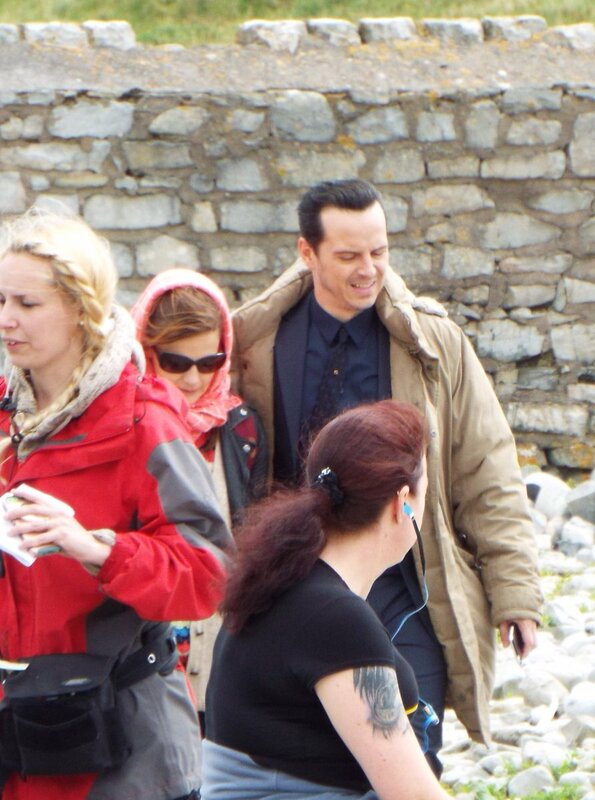 If you are not 100% convinced that that is Andrew Scott, here’s a shot of him arriving on location with Louise Brealey. There’s no doubting it – Moriarty is back! @AnythingCumberbatch also recorded this video of a scene being filmed. See the resurrected Moriarty in action below! So what does this mean for Sherlock? Is Moriarty really back from the dead? Or is this just a flashback scene, or perhaps it is set in Sherlock’s Mind Palace? Mofftiss have tricked us like this before (we’re looking at you ‘The Abominable Bride‘), so we wouldn’t put it past them to do it again. Whatever the answer, the Napoleon of Crime being back in Sherlock can only mean that Series Four is going to be explosive entertainment. It has not been confirmed when the new series will air, but it is expected to begin in early 2017. Aww, that would be awesome! I love Andrew Scott’s portrayal. But they filmed fake scenes with Moriarty for S3 E1 too, so … I guess we shall see. I always held out a tiny hope that Janine was Moriarty’s sister, but that’s pretty unlikely! OMG HE IS BACK. I just can’t say how Happy I am.